Free product from a loading rack area at a bulk fuel distribution terminal migrated to a municipal sewer system and resulted in a major explosion. EnviroSolutions was called in to evaluate how the explosion could have occurred during “operation” of the existing “remediation system.” Our evaluation of the existing system quickly identified limitations, in addition to an obvious absence of effective control. Based on the evaluation and several recommendations for system upgrades, EnviroSolutions was asked to implement remediation procedures to prevent a recurrence of the event. To address the problems identified, a network of appropriately designed and located recovery wells was installed. This network allowed EnviroSolutions to achieve control of the hydrocarbon plume that extended over the 60 acre property. A recovery system for the free product and dissolved phase hydrocarbons was constructed. The recovery system collected 100 gallons per minute of impacted groundwater for treatment prior to discharge under an NPDES permit. EnviroSolutions’ certified waste water treatment operators ensured system compliance with permit conditions. Treatment of water consisted of an air stripping tower and a liquid phase carbon treatment system. EnviroSolutions maintained optimized performance of the system to maximize run time and effectively maintain control of the plume. The system was able to collect an average of two to three hundred gallons of free product per month. A continuously recording explosimeter, installed in the municipal sewer system, never detected vapors in the sewer during the course of EnviroSolutions operations at the terminal. Performance of the system was so reliable that the terminal was also able to use the system to manage its own liquid waste streams, saving tens of thousands of dollars annually in waste water disposal costs. 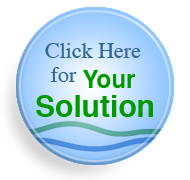 Let EnviroSulutions assist you with any of your environmental needs – emergency or routine. We’ll provide solutions to your environmental concerns that also optimize your core operations.